If you're buying a shop in Leeds, remember to take out an insurance policy. Whether you're selling groceries or designer goods you will require insurance for your retail commercial property in Leeds. You can tailor your insurance policy to your specific needs but typically they will cover all stock and goods in transit up to a certain value. If you're searching for a shop for sale in Leeds with MOVEHUT, don't forget that you will need to take out adequate insurance cover. At MOVEHUT we have stores for sale in Leeds to suit all requirements, so whatever you're searching for there's no need to look anywhere else. It could be you hope to find a retail property suitable for use as a phone and gadget shop in Leeds. Or you might be seeking a retail property for opening a discount store. Whatever you look for in a commercial property, at MOVEHUT we have the tools to ensure your search for a retail property for sale in Leeds runs smoothly. When buying a shop, it is important to set a budget and stick to it. 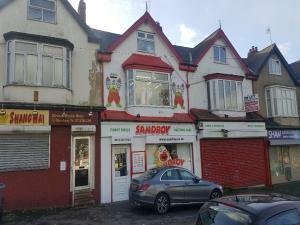 There is a huge variety of retail properties to buy in Leeds at prices to suit all pockets. We want to help you find a shop for sale that matches both your needs and your budget, so search MOVEHUT's listings to take the pain out of your property search. 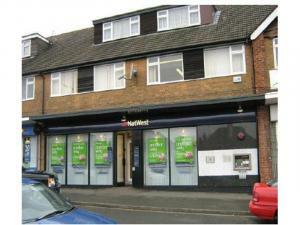 Once you have seen your perfect shop for sale in Leeds, it's definitely time to arrange a viewing. If you're happy with the sale price for the shop, you will need to make a written offer for the seller's consideration, If this is declined you may wish to negotiate further. We here at MOVEHUT hope that your commercial property transactions in Leeds go without any difficulties. If you want to find a shop for sale in Leeds that's suitable for you, having a clear idea of your requirements will help you carry out an effective property search. Obviously the size of the shop in Leeds will be one of your first considerations, but what about proximity to transport links. So once you have decided which factors matter most to you, start your search for a shop to buy in Leeds with MOVEHUT and you'll soon find the one that's right for you. Begin your search for retail properties for sale in Leeds, and you'll find we have everything you need to ensure it runs without a hitch. You can browse properties according to a range of criteria that will ensure you only view the relevant properties to you. Why not get your shop search started now, and let MOVEHUT find you a great Leeds property. Before buying a shop in Leeds, it's a good idea to undertake a viewing, and assess the building in person. The location of the property will be a critical consideration when viewing, along with the general condition of the building. Another thing to carry out with any shop in Leeds is to make sure the electrics are working, and you can get the vendor to demonstrate this while you are there. 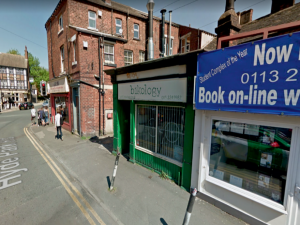 When you're searching for a shop for sale in Leeds, seeing the property in person and keeping in mind various factors will contribute towards the effective property search.